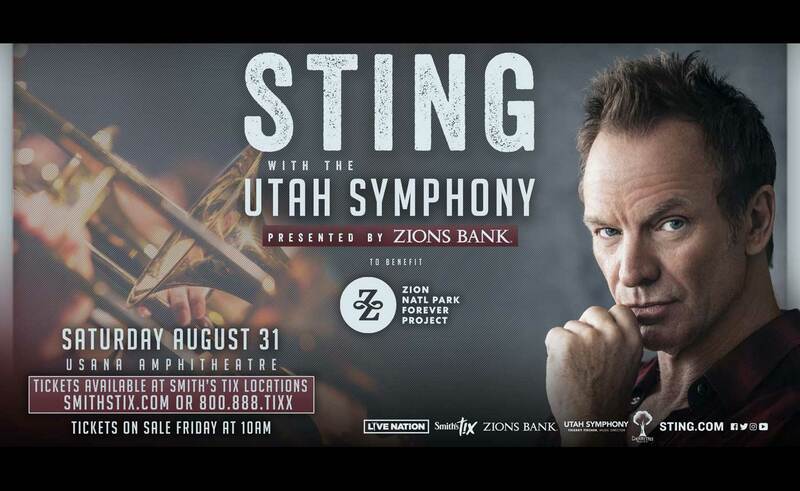 Sting and the Utah Symphony team up at USANA Amphitheatre for a very special, one-night-only appearance, to celebrate the 100th anniversary of Zion National Park. Proceeds from the concert will go to the Zion Forever Project to benefit Zion National Park as part of the Park’s centennial celebration. Tickets are available at all Smith’s Tix locations, www.smithstix.com or by phone at 800-888-TIXX. With the exception of the one-day February 14 presale for subscribers and donors, tickets for this performance are not available through Utah Symphony | Utah Opera Patron Services.